Piriapolis Uruguay is one of the most Traditional Coastal cities in Uruguay. It is cozy and small, with surrounding hills that almost enter the sea and make up its unmistakable trademark. 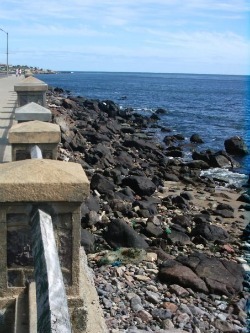 It also has a beautiful promenade which is reminiscent of European resorts. Piriapolis Uruguay is only a few minutes from Punta del Este which is the tourist capital of South America. Its main Tourist Attractions are the seven hills that surround it and offers Beaches for every all taste. fill its ice-cream shops, casino, discos and restaurants. Another of its tourist attractions which you shouldnt miss is the Natural Reserve, situated at the foot of the Pan de Azucar hill, where 400 wildlife species live in their natural habitat, and where several endangered species, such as the pampa deer, breed. If you are interested in spending your Uruguay vacation in a peaceful place next to the sea, but still you still want contact with the native fauna and flora, then you should definitely choose to visit Piriápolis Uruguay. Located a mere 100 km away from Montevideo, which is the capital city of Uruguay. This picturesque bay is surrounded by wooded hills and forms an open coastal bend which integrates the urban development of the country’s most traditional coastal city. In 1930 Piriapolis gave birth to the elegant and splendorous Argentino Hotel, which is equipped with modern services for the health conscious tourist. These include the first thermal marine water swimming pools for revitalization and therapy. 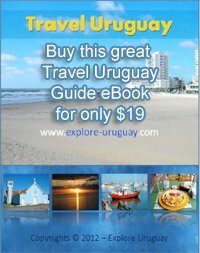 The welcoming and laid back nature of the people of Uruguay as well as the tourist services providers are highly valued by tourists. The beauty of the landscape and the diverse possibilities to enjoy different tours and sports, social and cultural activities attract people from all of Uruguay to Piriapolis, a place where the holiday season never ends due to health related attractions and activities. From the surrounding hills it is possible to have a complete view of the small city that climbs up the slopes and to experience the sensation of being one of the most tranquil cities of Uruguay. The big and luxurious Argentino Hotel is opposite a beautiful coastal promenade, which still remains unchanged and constitutes a traditional summer walk. Monuments and vantage points installed by the city’s founder are still located on its hills. This city offers the global traveller well deserved rest, and the ability to escape from the stresses of everyday life. help promote corporal and mental health. In the early 1900's, when Francisco Piria founded Piriapolis Uruguay, he made the largest personal investment the country of Uruguay known. Piriapolis offers a European-style spa with a port, three hills, promenade and a modern hotel and casino. You can also hike to the top of Cerro San Antonio and witness a panoramic view of this entire resort city or spend some free time to buying handicrafts made by the local people of Uruguay. Oh, and don't forget to visit Cerro del Torro and the Source of Venus. Well, I think that just about covers it.